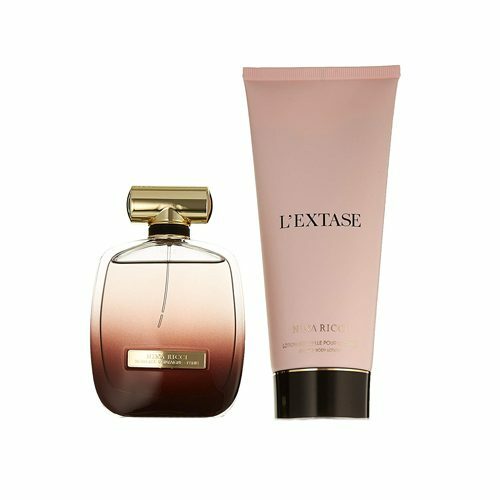 L‘Extase is an invitation to please the senses, an Eau de Parfum of incandescent modesty. A bottle like a couture clutch with shades of dark mauve. Gold detailing. Delicate black satin ribbon. Emblematic plate engraved with the House’s address. Olfactory: Musky Oriental Floral Bouquet of white petals, Natural roses, Pink peppercorns, Benzoin of Siam, Musk, Amber. Body lotion with the fragrances. Apply an appropriate amount on the skin.